What’s a better way to spend your time behind bars than making music? 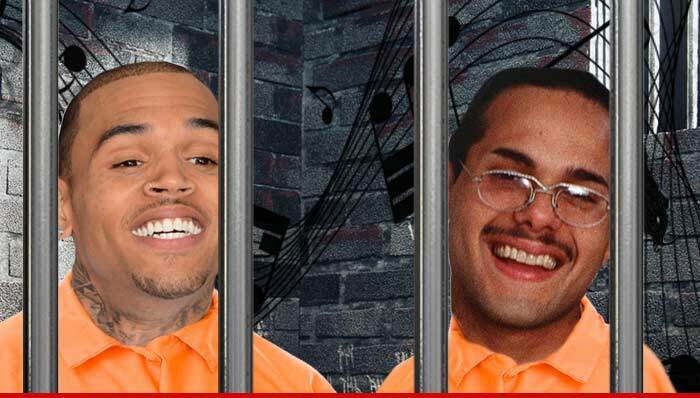 Apparently Chris Brown and James DeBarge have something in common besides being able to sing. They’re both currently locked up in Los Angeles County Jail and are right next to each other in separate cells. According to TMZ, both singers are being housed in a segregated unit for high-profile inmates and have been collaborating on music. Not only is it alleged that they’ve already written songs, but they’ve also made the halls of the jails a little bit merrier with their singing. Brown is currently behind bars for a probation violation after being thrown out of a Malibu rehab facility. DeBarge, who was married to Janet Jackson in 1984 and was a member of DeBarge, is currently being held on drug possession and assault with a deadly weapon charges. What’s also interesting is that even though the inmates can’t see each other, everyone housed in the unit has been joining in on their singalongs. I guess when you have nothing but time on your hands, a little jailhouse rock can make the days go by a lot faster.